Recently I wrote an article on what your financial planner needs to know about your IPug™ trust. Most financial planners hear the word irrevocable and begin to panic. They think of a traditional irrevocable trust that can be difficult to use, difficult to manage, and expensive from a tax and accounting view. The iPug™ is a modern irrevocable trust that has many benefits and does not suffer from the drawbacks of the traditional irrevocable trust. The article discusses some of the major reasons the iPug™ is superior to the traditional irrevocable trust. The iPug™ trust is a grantor trust that you create and are in control of. No beneficiary ever has a right to demand a distribution of income or principal during your life. The iPug™trust provides asset protection from future liability like car accidents, professional or personal negligence, and even can be structured to provide protection from Medicaid ineligibility. The iPug™trust is a disregarded entity for tax purposes and uses your social security number. This means you are taxed just like as if you owned the assets yourself. The iPug™trust does not remove assets from your estate, so your beneficiaries receive a full step up in basis upon your death, just like with personally owned assets or those in a revocable trust. The assets in an iPug™ trust can be protected from the surviving spouse’s future marriage in much the same way that a prenuptial agreement would protect the assets. The assets in an iPug™can be protected from an elective share claim in the future. You can change the beneficiary in your iPug™trust, at any time, without risking loss of the assets to creditors. All assets that can be transferred to a revocable trust can be transferred to an iPug™ trust without penalties or termination. The iPug™ trust can contain trust protectors that enable changes to the documents if the laws change in the future, in much the same way as one would have with a revocable trust. Often in joint irrevocable trust, changes cannot be made after the death of the first spouse, but even with a joint iPug™ trust changes can be made after the death of the first spouse. As you can see there are some major benefits to using an iPug™ Asset protection trust over a traditional revocable trust. 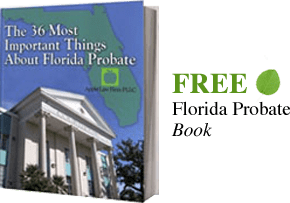 While many have speculated that the traditional revocable trust is obsolete, there is still a purpose in Florida for the traditional revocable trust. Generally the revocable trust holds the homestead as well as the accounts where income and expenses. If you are a financial planner and have questions about the IPug™ and your clients specific circumstances, we would encourage you to reach out to us and discuss any concerns so that we can help you understand the new landscape of estate planning, elder law, and asset protection.